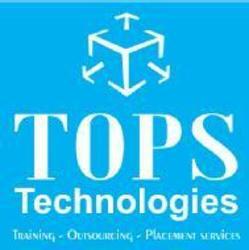 TOPS Technology offers exemplary Web Designing Training in Ahmedabad to the web aspirants. The expert coaches at TOPS train students with an effective procedure that involves visual communication, SEO and interfaces planning and designing. Imparting knowledge with examples that are simple for fresher and amateurs to understand is the primary tasks for TOPS’ teachers. Towards the course conclusion, the students are expected to pick up a sense of design awareness while also getting updated with web strategy.